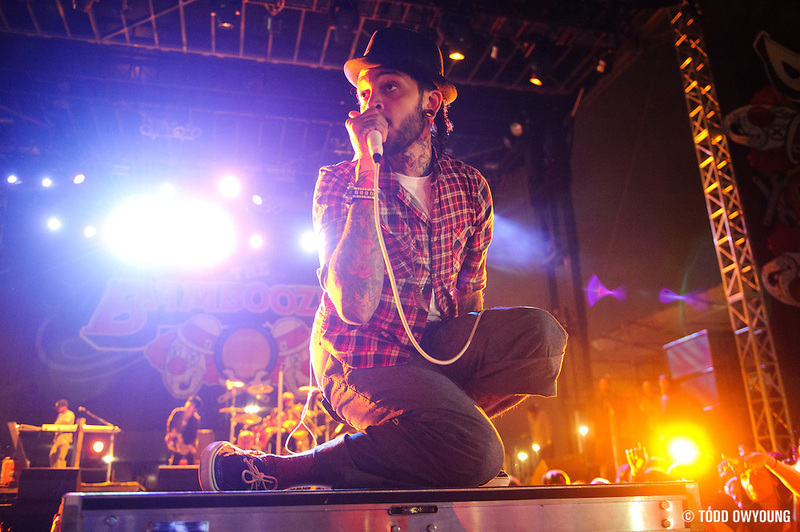 Travie McCoy always puts on a great show. 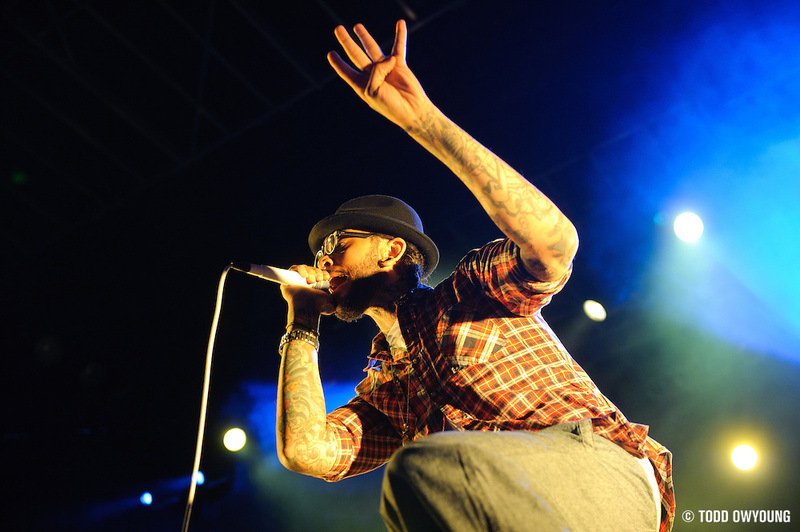 This has been true with Gym Class Heroes, and it's certainly true of Travie as a solo artist. 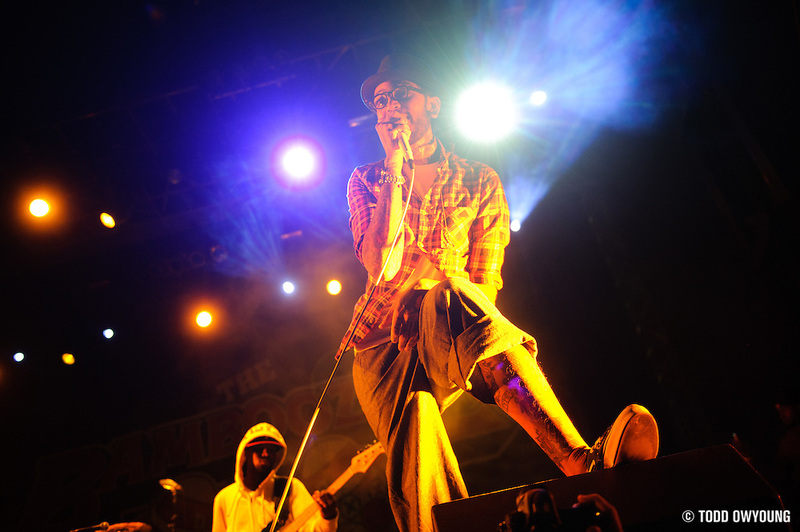 When I saw that he was going to be on the bill for Bamboozle 2011, I knew it would be a good performance. The only thing I didn't count on for this festival gig on one of the main stages? No frontlighting. 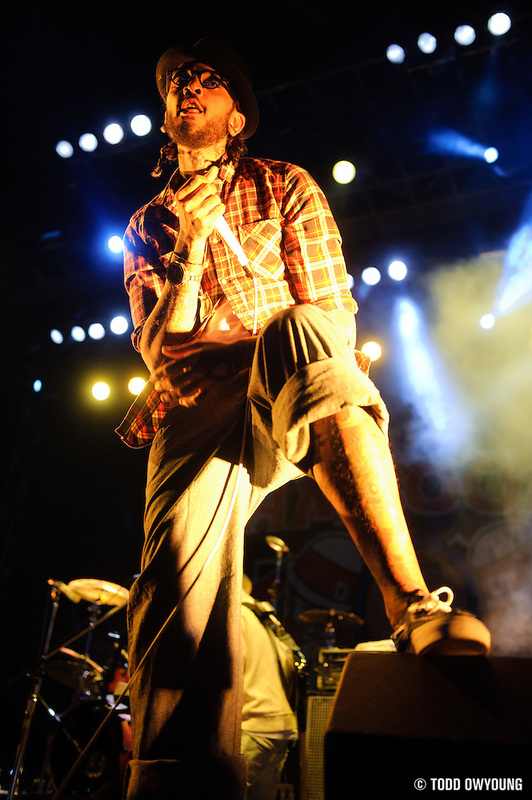 I think that it was during Travis McCoy's set that it dawned on photographers covering the Bamboozle 2011 that the Jolly Green Stage, one of the two headliner stages, had no spotlights in place. Instead, the lighting for Friday's setup (and, spoiler alert, Saturday's, too), all the lighting was pretty much coming from the back of the stage and the sides. 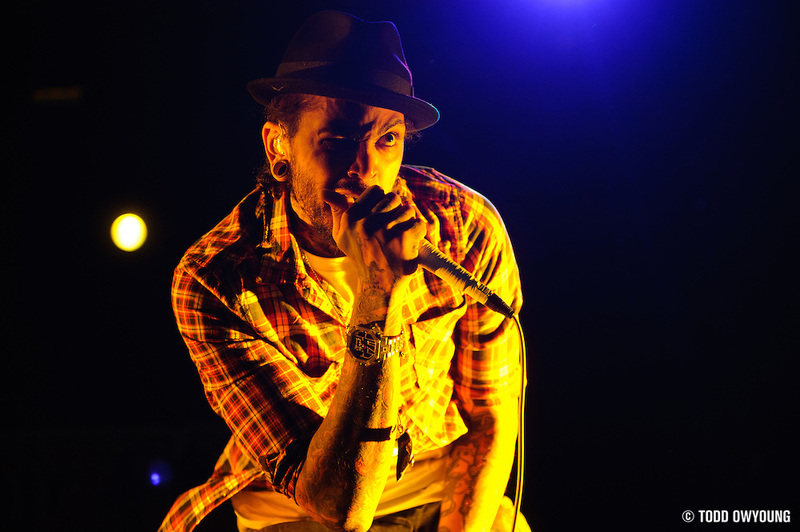 Thankfully, as I mentioned at the top of this post, Travie put's on a fun show. Plenty of great gestures, facial expressions, and interaction with the crowd. Now, the real challenge of this set was trying to capture what Travie was laying down given the stage treatment. 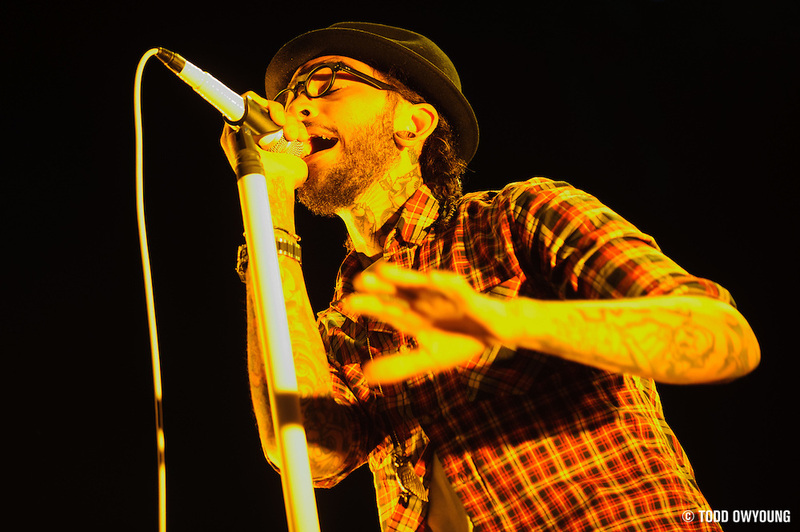 The one “hero” shot of the three songs, for me, was when Travie came out on a thrust at the center of the stage, a moment when most of the time I would have killed for a spotlight. Still, the saving grace was that there was enough light blasting in from the back to pull off an exposure. Also to thank, the Nikon D3's high ISO capabilities and the relatively fast f/2.8 aperture and quick focusing of the Nikon 24-70mm f/2.8. Oh, and throttling down the shutter speed to pick up all that backlighting, hoping it would be enough to bleed onto Travie's face, didn't hurt either!